The variability and uncertainty of water resources associated with climate change are critical issues in arid and semi-arid regions. In this study, we used the soil and water assessment tool (SWAT) to evaluate the impact of climate change on the spatial and temporal variability of water resources in the Bazoft watershed, Iran. The analysis was based on changes of blue water flow, green water flow, and green water storage for a future period (2010–2099) compared to a historical period (1992–2008). The r-factor, p-factor, R2, and Nash–Sutcliff coefficients for discharge were 1.02, 0.89, 0.80, and 0.80 for the calibration period and 1.03, 0.76, 0.57, and 0.59 for the validation period, respectively. 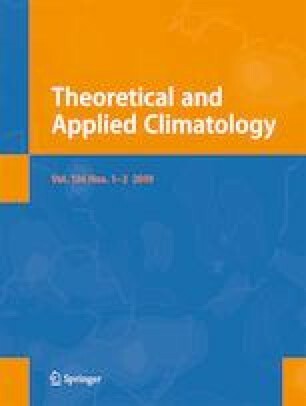 General circulation models (GCMs) under 18 emission scenarios from the IPCC’s Fourth (AR4) and Fifth (AR5) Assessment Reports were fed into the SWAT model. At the sub-basin level, blue water tended to decrease, while green water flow tended to increase in the future scenario, and green water storage was predicted to continue its historical trend into the future. At the monthly time scale, the 95% prediction uncertainty bands (95PPUs) of blue and green water flows varied widely in the watershed. A large number (18) of climate change scenarios fell within the estimated uncertainty band of the historical period. The large differences among scenarios indicated high levels of uncertainty in the watershed. Our results reveal that the spatial patterns of water resource components and their uncertainties in the context of climate change are notably different between IPCC AR4 and AR5 in the Bazoft watershed. This study provides a strong basis for water supply-demand analyses, and the general analytical framework can be applied to other study areas with similar challenges. The authors would like to thank the anonymous reviewers and the Editor in Chief for their valuable comments and suggestions. We also acknowledge the World Climate Research Program’s (WCRP’s) Working Group on Coupled Modeling (WGCM), which is responsible for CMIP, and the climate modeling groups (listed in Sect. 2.3 of this paper) for producing and making available their model output.